These Highly Anticipated posts (more here) are always really fun for me to do. 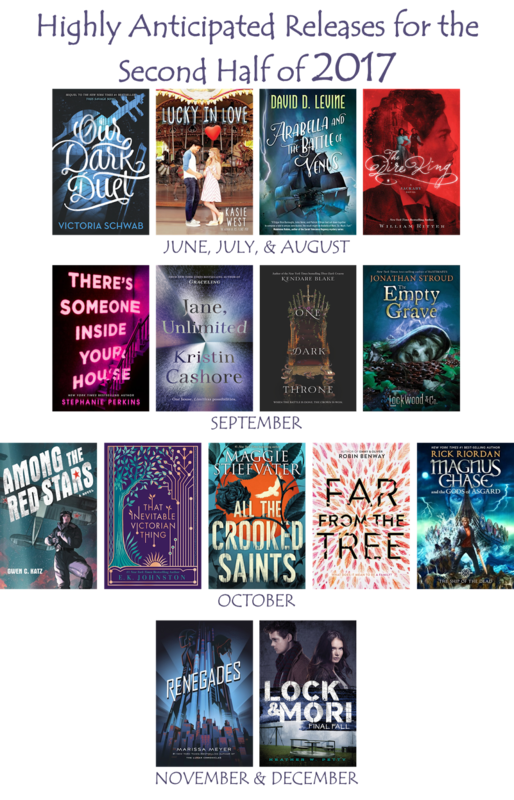 I like digging into the lists of what's coming out in the next few months and determining what I really am excited about with no strings or obligations attached. So here we go, the second half of 2017. Any of these on your list? Technically this one is not a second half of the year book, but I didn't read the first book in the series before I wrote my first Highly Anticipated post of the year, and it's definitely highly anticipated. Arabella of Mars was such a fun steampunk space adventure. I'm looking forward to the second in the series. The sequel to the fantastic Three Dark Crowns. Set in a near-future world where the British Empire never fell. I'm intrigued. I adore the Magnus Chase series.